Fire Escapes are very important building components that are often neglected. In the state of NJ, that won’t be the case for much longer. There is a statewide mandate for municipalities to regularly inspect and certify these all important, life-saving structures. In Jersey City, the Fire Department has an initiative to have every fire escape inspected within the next 3 years. What does this mean for property owners? It means that you better pay close attention to the maintenance of your fire escapes, because if you don’t it could get very costly. For one thing, the fines associated with fire escape violations can run upwards of $2,000 per week per violation. Secondly, the worse the condition of the fire escape, the more costly the refurbishment will be. And if an escape is beyond repair a complete replacement may be necessary. If one is structurally unsound, a load test and engineer’s sign-off may be required. Thankfully, for our clients, D&M has experience dealing with the process of inpsecting, rehabilitating, and certifying fire escapes. We recently saved one of our newest clients, the 80 Morris Street Condo Corp, about $10,000 due to our knowlege of this topic. When we took over management of the building, we inherited a number of fire escape violations and a proposal to have it refurbished for close to $20,000. 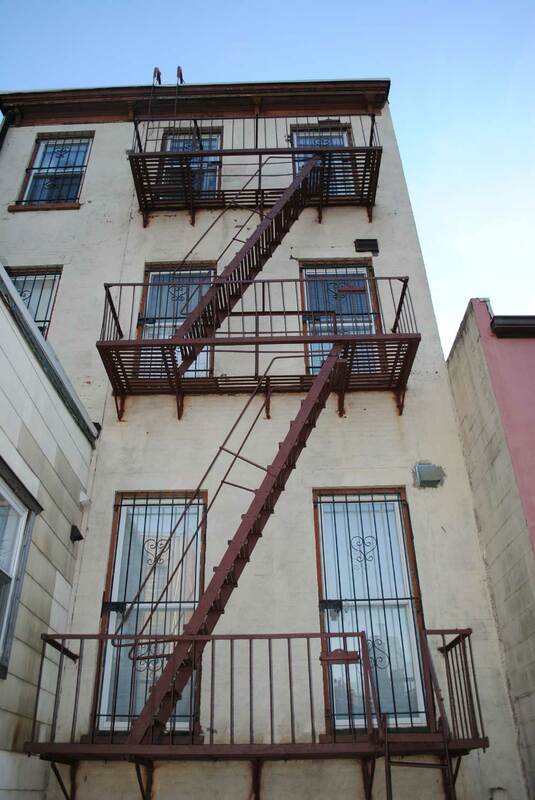 After assessing the situation and meeting with the Jersey City Fire Inspector, I figured out a way to get this fire escape up to code for one third of the cost of the original proposal and have the violations repealed. I live in a 3-unit condo building and I know from experience that I don’t like to go in my pocket to pay $3,000 for any condominium assessment. Saving my clients money is something that I take great pride and find great satisfaction in.